You may have noticed that a lot of talk about hearing aid pricing has been coming up in the news lately. It is both a hot and sensitive topic in the United States and it seems that Canadian media outlets are picking up on it. The problem is these reports are very one sided and don’t paint the full picture. What’s in a dispensing fee? Is it all profit? A dispensing fee is basically a fee per service. When you pay for hearing aids from a hearing clinic you’re paying for the hearing aids themselves, plus the services we provide. Our dispensing fee covers in-office repairs, adjustments, and cleaning for at least three years and up to the entire life of the hearing aid. Our dispensing fee isn't all profit, it's our revenue. It's the money we make from the sale to put towards staff wages, utilities, marketing, rent, etc. After all our expenses are paid from that revenue, then we are left with a profit or sometimes a loss. If the hearing aid parts cost so little to manufacturer, then why are hearing aids so expensive? Yes, it does cost a few hundred dollars to manufacturer a hearing aid that retails for over $1,000. However, that doesn’t consider the money the manufacturer spends on research, employees, marketing, equipment, facilities, etc. All those costs are spread out among how many of that hearing aid platform the manufacturer can sell. That single hearing aid chip, or platform, probably doesn’t sell even a million units worldwide. Therefore, leaving less units to spread the expenses across. If hearing aid manufacturers could sell as many hearing aids as Apple sells iPhones (approx. 80 million), then the cost of hearing aids would come way down. It’s also a specialized device that needs to be fit by a professional. Braces can cost over $6,000, but we don’t look at the fact that its ‘just metal’. We see that it’s a very customized and specialized piece of equipment that must be put on by a professional. I can find cheaper hearing aids online, why shouldn’t I buy those? Currently hearing aids are illegal to sell online in Ontario. However, we know there can be ways around that. What some consumers don’t understand is that hearing aids aren’t something you buy once and they’re perfect Everyone's hearing is different and hearing aids need to be adjusted, cleaned, repaired, etc. If you buy a hearing aid online and need an adjustment or repair you must ship them back to the US. Most companies charge a fee for expedited shipping as well. 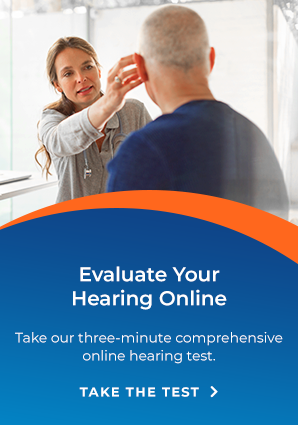 Most online companies offer warranties and service for anywhere from 90 days to a year, where most hearing aids purchased at a licensed hearing aid clinic are covered for 3 or more years. When you buy online, and you have to start looking at repair costs, or maybe even replacement, in years two and three you’re going to start hitting the same costs as if you just bought them at hearing aid clinic. Not to mention that most common issues just need a quick cleaning or in-office repair, and therefore no downtime shipping them back and forth. In summary, price will always be a sensitive issue, but we should never associate a cost to better hearing. In countries that have full funding for hearing aids, their adoption rate is roughly the same as Ontario. Makes you wonder if its cost or is it stigma? What matters is that Arnold Hearing Centres is there for you and we will work with you to make sure we figure out what’s best for you, your hearing, and your budget. Hearing aids need a personalized touch and we pride ourselves on being there for you in every step of the way.